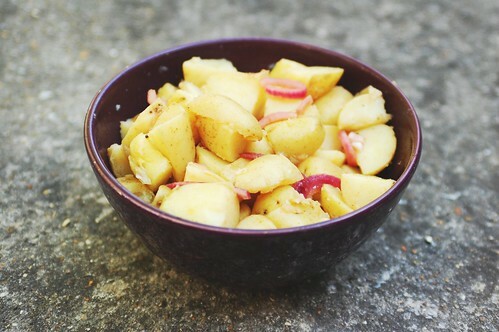 Salt & vinegar potato salad, with the adaptations suggested here. Please excuse my dirty feet! My mother would be ashamed. 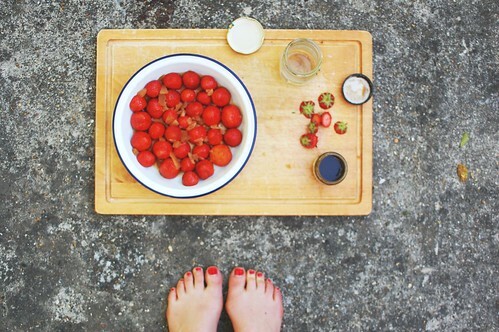 Grubby feet are a side-effect of Friday night barbecues, especially if you're anything like me and like to carry your entire chopping board outside to photograph in the middle of strawberry-hulling... totally normal behaviour. At least on this occasion I didn't carry my knife out with me, which is more than can be said for Thursday - we were delivering a massive birthday cake! We had to take the biggest knife we owned! ...and THEN we had to carry an enormous chef's knife around in our handbags for the rest of the day. I don't know if 'we had a birthday cake to cut!' is the kind of excuse that would wash with the police if that had come up. If I ever get arrested for carrying knives in my handbag, I'm going to need you all to vouch for me in court. Consider this a preliminary warning. I'm not going to promise it won't happen. I've had a spoon in my bag for longer than I can remember; I don't know why it's there, but I keep thinking it's going to be useful at some point. And if you could see all the discarded spoons in my bedroom, you'd think I was a heroin addict. Disclaimer: I am neither a mass-murderer or a heroin addict. 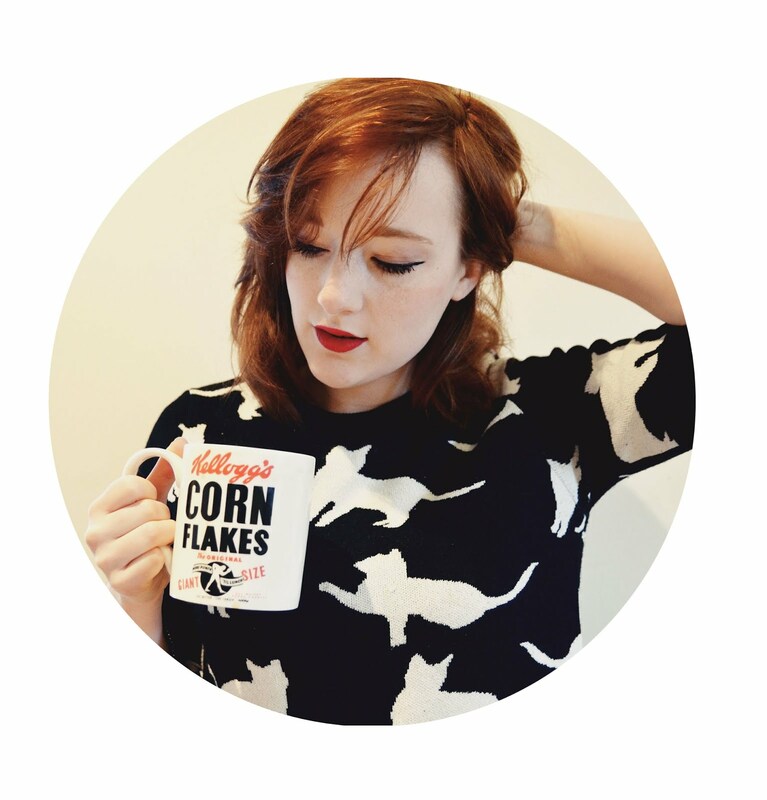 I just eat a lot of cereal? This post isn't going very well. I don't want to think about the google searches I'm gonna get from this. Back to Friday's barbecue. 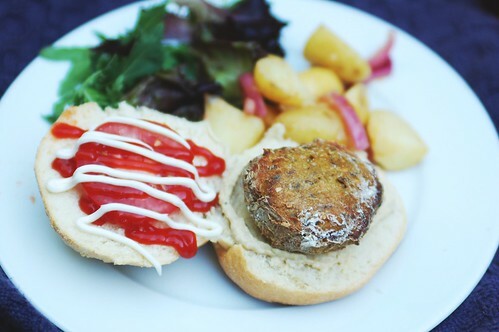 These burgers? So simple. So freakin' good. I added a little more flour than the recipe suggested, to make them more malleable, but I also ended up with one more burger than the recipe stated, so everything evens out. Yes, there is caramelised onion houmous on that roll. It's as good as it sounds... provided that it sounds awesome. Oh hey, and this potato salad is a fabulous alternative to mayo based salad, cause I know some people think they're a bit funky (I don't have a problem with mayo-based 'tatty salad, but vegan mayo is super-expensive in my neck of the woods, so I don't want to be, you know, flinging it about). I didn't exactly follow the directions (I didn't have Bay seasoning, so I googled what was in it and used the components), but you get the general idea. The red onion was my favourite bit. Don't be shy with the vinegar. ...Hello, dessert. You were beautiful. You know how long this took me to prepare? ...probably a little bit longer than it would take you to prepare, given the previously described mid-hulling photoshoot, and the fact that I was on the phone to my mum at the time, telling her my uni marks. But even so, not much time at all! It's basically strawberries and pimms and a little bit of ginger syrup, with delicious stuff on top. It's almost embarassingly easy. 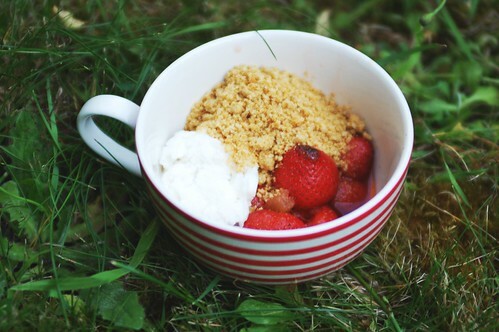 It's also the absolute epitome of British-summertime-barbecue desserts, if you should be looking for something along those lines. I'm always looking for something along those lines. Have a barbecue! Bring strawberries! Don't include your feet in any photos. a couple of splashes of Pimm's - I was generous! 1. Hull the berries so that the bottoms are flat (so that they'll stand upright in a dish), then toss in a bowl with ginger chunks, syrup, vanilla seeds/paste and Pimm's. Place in a shallow ovenproof dish, tips pointing up. Pour over the juices and ginger. 2. Eat your dinner. Pretty good, right? Okay, now tear yourself away and turn the grill up to high, then grill the strawberries for 3-5 minutes, til the berries are softened and it looks a little sticky and jammy round the edges. 3. 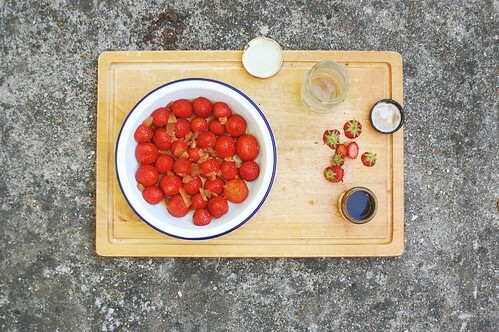 Share out into bowls, scraping out all the sticky bits and pouring the juices over the berries. Top with icecream (mine was non-dairy) crushed biscuit crumbs (I used hobnobs, which are a British oaty biscuit, but Jamie uses shortbread), and an optional sprig of mint. Be happy. Thanks for commenting! And for making me feel better about my compulsive photography habit Amanda, haha. and barbecues are the best in the summer - is it just more or does food just tastes better when eaten outside in the sun? what a perfect dish--elegant and sophisticated yet totally doable. i echo your sentiments about food, particularly the fact that we both have no use for fancy-shmancy, overly-fluffy stuff.